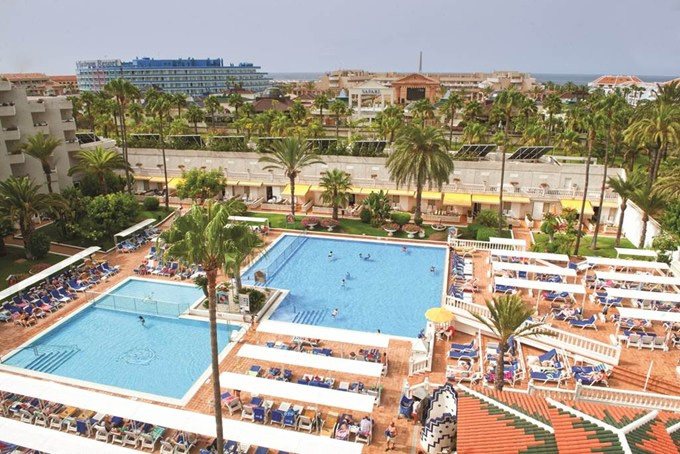 The 4 star Spring Hotel Vulcano is a quality hotel in the South of Tenerife, in the nicest part of Playa de las Americas. The Spring Hotel Vulcano is only 300 metres from the beach and the best shopping and entertainment area. A great choice for couples. Holidays to the Spring Hotel Vulcano are particularly rewarding as the hotel is internationally renowned for its friendly and highly professional staff, the deliciously varied cuisine, and for its excellent facilities in particular the striking indoor botanical lounge and atrium. 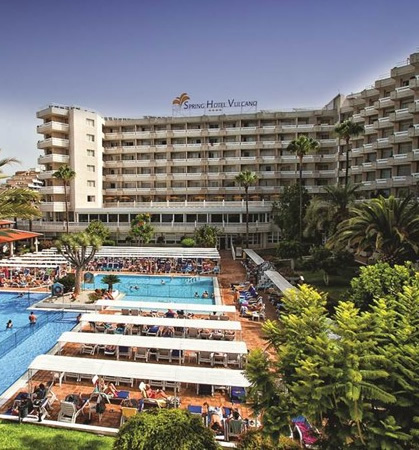 The Spring Hotel Vulcano is one of the most popular hotels in Tenerife and has a large following with many guests returning every year. Tenerife's climate and the hotel's facilities make the Spring Hotel Vulcano a good option for a summer or winter holiday. 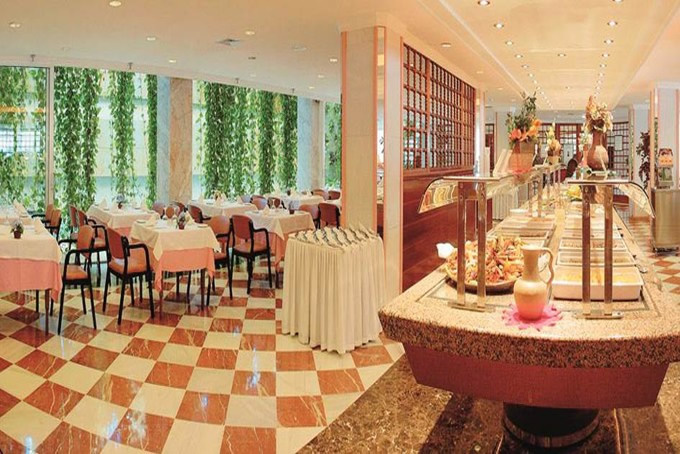 The Spring Hotel Vulcano has a main restaurant where guests will be offered buffet service for breakfast, lunch and dinner with a Show Cooking Grill that offers a great variety of succulent specialties. Please note the hotel has a dress code for gentlemen at dinner time (long trousers and closed shoes). In the evenings you can enjoy a show by international artists, have a drink in one of the pleasant bars and dance the night away to disco and live music. The Spring Hotel Vulcano boasts 2 swimming pools (1 with children's section and heated in winter), 3 squash courts, mini golf, French bowls, table tennis, pool bar and a unisex Hairdresser's. Tennis can be pre-booked on the nearby sister hotel Bitacora's courts. The hotel provides a day time and evening entertainment programme. 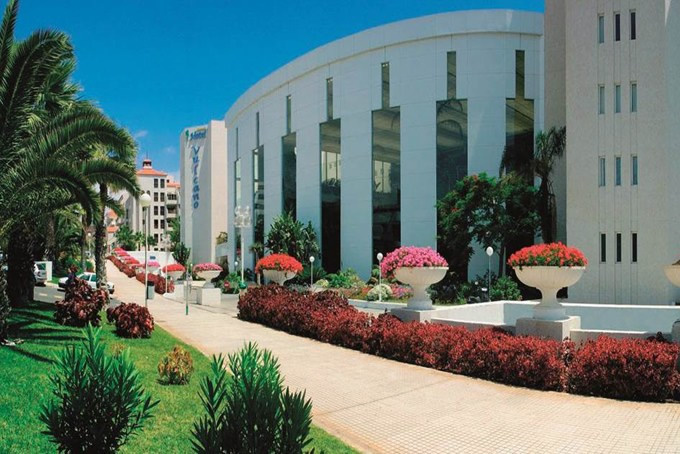 The Spring Hotel Vulcano, Playa de las Americas has a 24 hour reception and foreign exchange facilities. 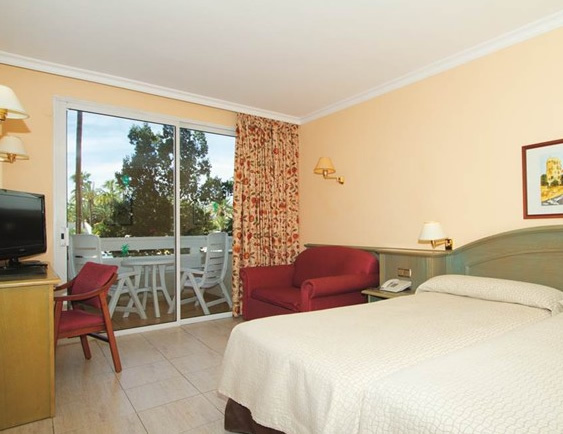 The hotel and the surrounding area are well known for good access for disabled guests with the hotel also providing a pool hoist and doors 89cm wide for wheelchairs..